Designed to conveniently extend the coverage and improve the signal strength of an existing wireless network to eliminate dead zones. 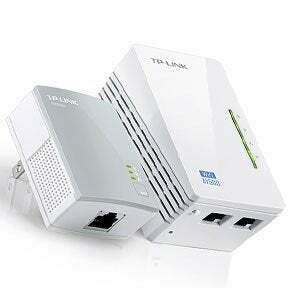 Various power line Ethernet devices are available at our stores. Order quality products within a few clicks and get them delivered at your doorsteps. You can choose from Nano powerline adapters, range extenders with powerline edition, range extenders with AC passthrough, and other products. All our products are manufactured by 9001-2000 registered manufacturers and are offered at very competitive prices. We also provide commendable after sales service and lifetime technical support on all our products.